Made by Nymagee Copper Mine in Nymagee, New South Wales, c.1884. 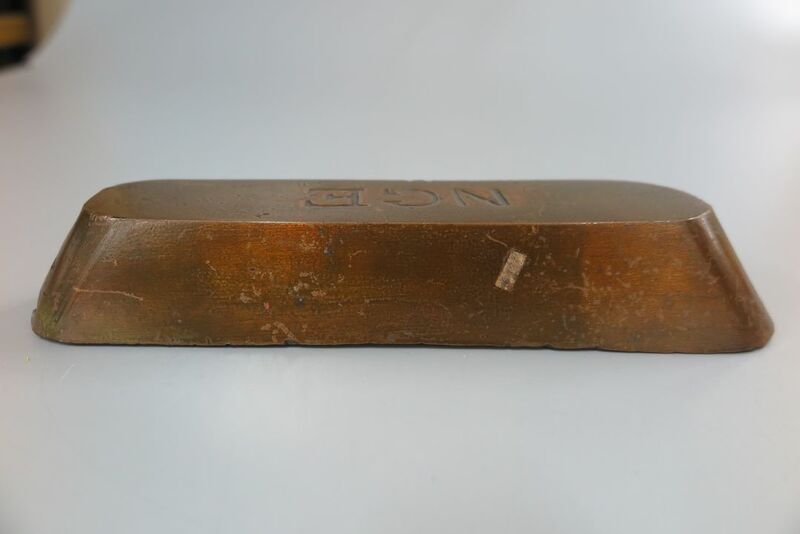 This is a copper ingot ready for market produced at the Nymagee copper smelter in about 1884. Nymagee is located 77 km SE of Cobar in the far west of New South Wales. Copper was discovered there in 1880 by Henry Manly and mining mainly took place between 1881 and 1894. Large ingot of copper(-1), smooth sides and rough bottom. Impressed in top: NGE, in ends: NG. Ready for the market (SB). Also old museum label (-2). Impressed on top: NGE, in ends: NG.